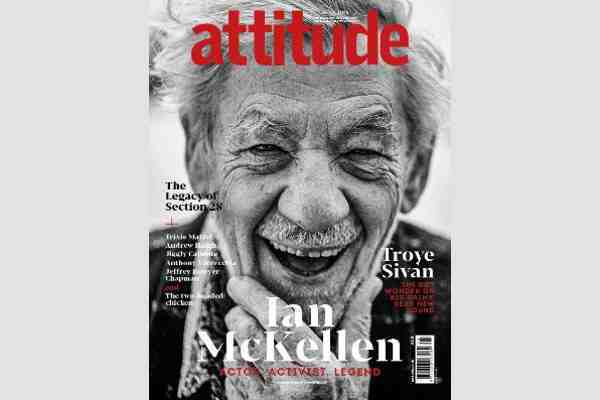 In a cover interview with UK LGBT glossy Attitude, Sir Ian McKellen said that he wouldn't have accepted his knighthood if he was in the closet. The 78-year-old McKellen, who first spoke publicly about his sexuality during an interview with the BBC in 1988, is best known for playing Gandalf in the The Lord of the Rings and The Hobbit trilogies and Magneto in the X-Men films. McKellen was recognized in the 1994 New Year's Honours List. “I will always be glad that I didn't accept the knighthood until I'd come out of the closet,” McKellen told Attitude. “They think if gay people don't talk about being gay that they have something to be ashamed of and it's a secret. Why should it matter? Once you say I'm gay, then you know where you are with a person,” he added.